Quote Reply Topic: Drain from starboard cabin? We often have (fresh)water pooling under the floor of the starboard cabin in our 2007 Hanse 400e. Unlike elsewhere there is no drain holes towards the pump. Is there any reason not to drill a hole under the door (see pictures)? I has similar in my port side cabin on my 370. Very similar arrangement. Caused by the window sealant failing. Repaired by Hanse under warranty. check out your water pipe connections. we for exemple had a problem with one of those after the valve for the shower to the hose you shower with. There is only coming water trough it wenn taking a shower, and because of that we only found water after we took a shower. I think the pictures show the port cabin just aft of the Heads. This area flooded on my own boat due to 'stealth leaking' from a badly-seated hull valve in the Heads compt. When the space shown in the pictures floods it leaks under the door frame and all flooring before filling up the next void space immediately in front of the Heads door. 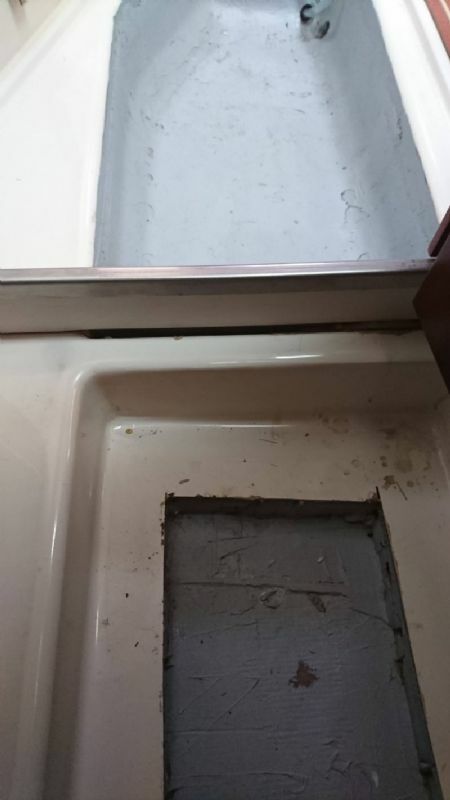 This section does have a drain hole that eventually leads to the bilge pump after it has followed a very peculiar route mid-ships to what I believe is the lowest point onboard, under the sink locker. 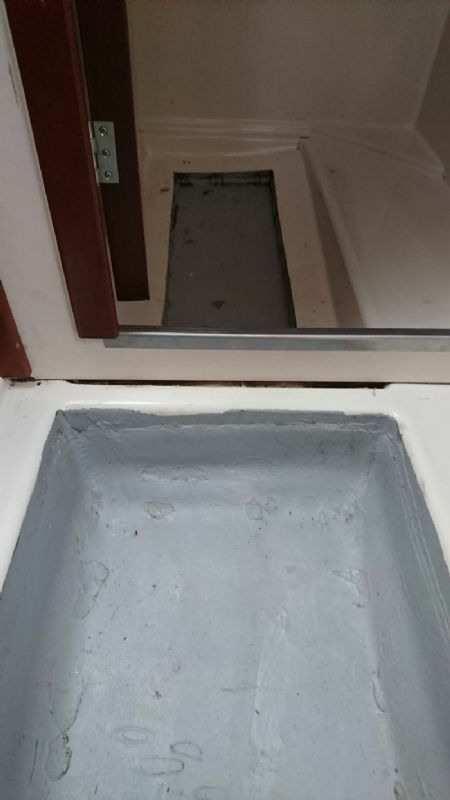 I understand that its common for Hanse 400s to have a slight list to port which probably accounts for this and there are other void spaces without drain holes. I would agree with Peter that it's probably not a good idea to go drilling through them without detailed knowledge of what's there. As a precaution, I now lift all boards every few weeks to check for hidden leaks.